Researchers with Penn State Bone and Joint Institute at Penn State Health Milton S. Hershey Medical Center have found an inventive solution to the issue of posterior instability seen with severe glenoid retroversion in total shoulder arthroplasty. 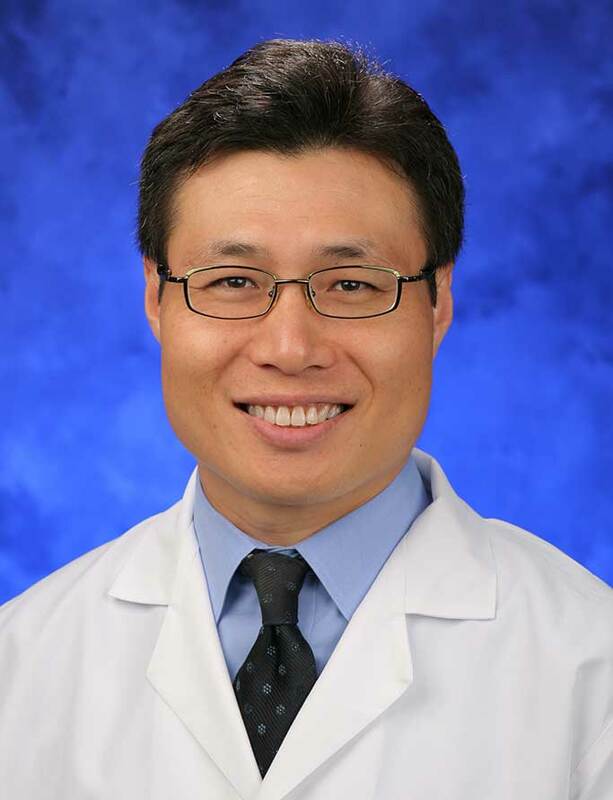 In an article published in Journal of Orthopaedic Research, associate professor H. Mike Kim, MD, and his colleagues shared how joint stability is restored by using a simple anterior-offsetting technique when positioning the humeral head component during total shoulder arthroplasty in a cadaveric model. Fellowship: Shoulder, elbow and sports medicine, Columbia University New York-Presbyterian Hospital, New York, N.Y.; Orthopaedic trauma, University of Missouri, Columbia, Mo. ; Shoulder and elbow surgery, Washington University Barnes-Jewish Hospital, St. Louis, Mo. Kim HM, Chacon AC, Andrews SH, Roush EP, Cho E, Conaway WK, et al. Biomechanical Benefits of Anterior Offsetting of Humeral Head Component in Posteriorly Unstable Total Shoulder Arthroplasty: A Cadaveric Study. J Orthop Res. April 2016;34:666-674. Lewis GS, Conaway WK, Wee H, Kim HM. Effects of anterior offsetting of humeral head component in posteriorly unstable total shoulder arthroplasty: Finite element modeling of cadaver specimens. J Biomech. Feb 2017;28:53:78-83.